1.) 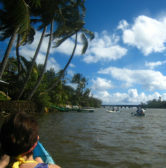 Lydgate Beach Park – Located in Kapaa (east side of the island). For small Kids, Lydgate Beach Park is a great place for protected swimming in the ocean. This is a great place to learn how to snorkel! This is also a playground for the kids as well as covered picnic tables. There are public restrooms and showers, so this makes it easy for families to hang out here for the day. 2.) 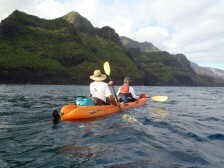 Kayaking to the Secret Falls – This activity is located on the east side on the Wailua River. Several tours go up every day except Sunday. The tour is about a 5 hour round trip event, many tours provide lunch. This is a great activity for kids (with strong parents!) who can kayak up to the falls and then hike (this hike is pretty mild, but can be slippery pending on the time of year). 5.) Poipu Beach Park located on the South Shore this beach is also another great beach for kids to play! Poipu Beach was named America’s Beach by The Travel Channel. During the summer months the beach conditions are usually great for snorkeling, swimming, and boogie boarding. There is also a large grass area for kids to run around and play, picnic tables and public restrooms. 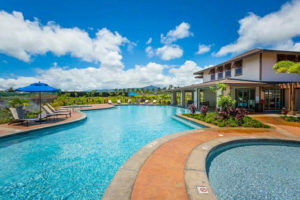 Whether you’re looking for Kauai beachfront rentals, Kauai condo rentals, or beachfront rentals Kauai, our luxury resort has everything you’re looking for! 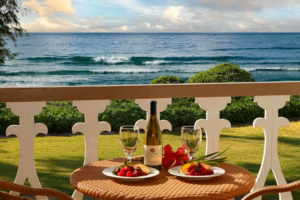 5 Best Beaches on Kauai For A Small Wedding! 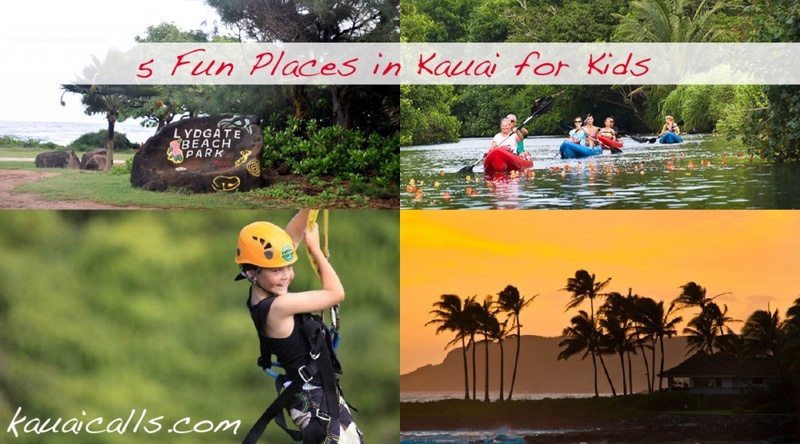 Planning on a trip to Kauai? 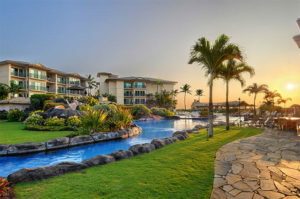 Kauai Calls offers a variety of fully furnished condos, cottage rentals, and Kauai Vacation Rentals.